LOVATO DN25 C70/F – PROFITEK, with flanged connections. 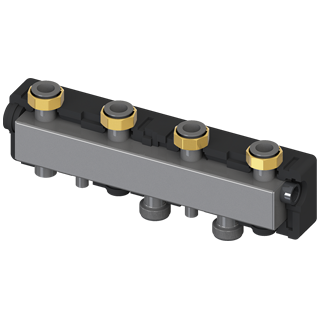 DN 25 “C70 PROFITEK” double independent chamber zone manifolds may manage from 2 to 5 zones with different plant requirements. Ir pieejama tikai viena versija: 3 loku C70/3F 120 x 120 x 755 mm.